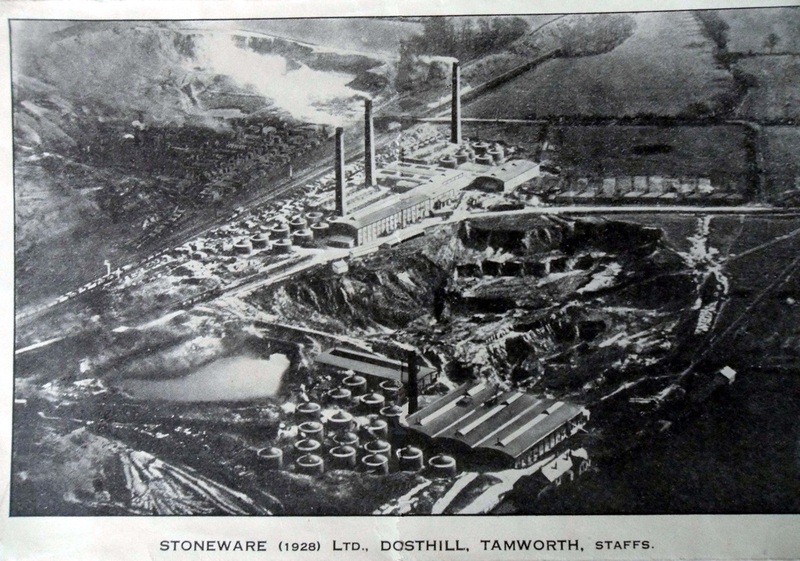 Stoneware Limited Dosthill - A site for the history of Belgrave & surrounding areas in Tamworth, England. As a result of the local supplies of coal and clay, Belgrave and nearby Dosthill has a long tradition of brick and pipe manufacture. Stoneware Limited was perhaps the largest works in the area. Although the old works has been demolished, bricks are still being made near the location of the original site on Rush Lane. It is now Baggeridge Brick Ltd and stands on the other side of the railway to the old works. 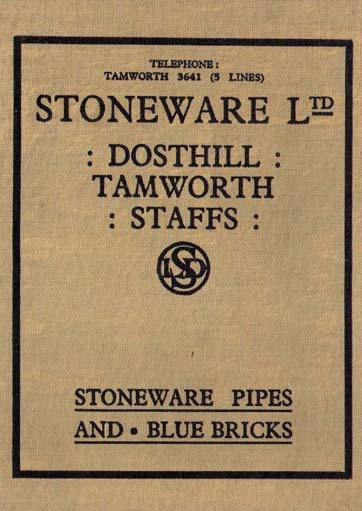 The picture below links to a catalogue from the 1960s which illustrates the extent of manufacture at Stoneware works.